World Tennis Miami Beach. Pro Tennis Shop. Why Should You Choose Branded Tennis Shoes For Your Sport? Like any other sport, be it soccer, baseball, or basketball, tennis also requires players to gear up well. While there are not many gears and accessories needed for tennis, you should be careful that you have them in their best condition. Besides your racquet, t-shirt, and shorts, your tennis shoes also have a role to play in your sport. The sportswear market is flooded with shoes that promise superior functionality, most of them fail to deliver the expected quality. Many shoe manufacturers enter the sportswear market with sub-standard products, which compromise essential aspects of tennis shoes. You need to be careful of such products because they may hoax you with a fake logo. This is where you need branded products that come from genuine shoemakers. Its traction reduces, causing you to slip on the court. It causes pain your heels, knees, and ankle after prolonged use. Its padding and cushioning effect reduces. It makes it difficult for you to move laterally. Its outer body, tongue, and stitching get damaged due to wear and tear. Different courts (clay, grass or hard) present different challenges, but a good pair of tennis shoes can help players overcome them and up their performance. 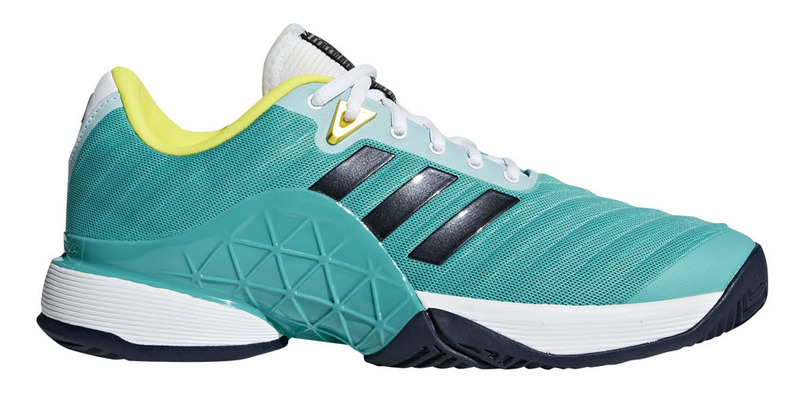 The Adizero Ubersonic 3, for example, is a product that’s apt for playing tennis on clay courts. It’s only the branded pairs that have the versatility for an all-court sport. You may be a baseline player or a serve-and-volley player. While the former requires good lateral support, the latter requires a reinforced toecap. Branded tennis shoes are usually designed to match different playing styles. You can check out Stella McCartney’s New Barricade Boost, which brings together speed and comfort while playing different styles. Last but not the least, branded tennis shoes are designed to suit different foot types. Whether it is overpronation, underpronation, or neutral, branded tennis shoes provide stability, support, and flexibility to the player, and prevents injuries while moving on the court. You are sure to take your game a notch higher if you have a pair of tennis shoes that fit you well. Call World Tennis Miami Beach Store.